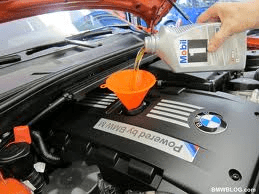 The oil change is essential for all engine function to run smoothly. Before long trips having an oil change done, especially if it is near servicing is ideal. While going over the mileage a little won’t necessarily hurt anything, a fresh oil change can help boost your MPG. Getting better fuel economy on long trips is great for saving a little bit of money at the pump. An oil change will also ensure that the fluid level is correct and where it should be. Your vehicle’s air conditioning is vital. When temperatures reach over 100, driving in an unairconditioned car can feel more like torture than an exciting time waiting to reach your destination. An A/C check will inspect the freon, make sure the blower motor is working correctly. If your freon is low, the air conditioning will not blow as cold as it should. The elements of a car’s air conditioning system should only be handled by a professional. It can be very dangerous to try and fix issues with any pressurized system. Overheating is a common problem on long road trips. Having your upper and lower radiator hose inspected for signs of breakage or tears and making sure the coolant levels are correct will go a long way in keeping your engine cool on out of town road trips. A technician may also look over your radiator for any signs of damage that may lead to overheating. If you have had trouble with rising operating temperatures, have those addressed beforehand. Tires need to be in optimal condition for any drive you take. Older tires or those with worn out tread can potential blowout while driving. This is a very unsafe condition. Tire rotation will move the worn tires to the non-driving axle for better durability. However, if after a tire inspection you need to have a tire replaced, you should do so before hitting the road. A tire popping while out on the road will mean costly towing service and delays. 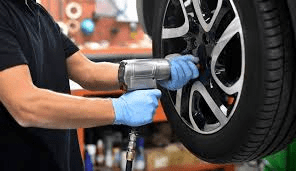 Tire rotation is a simple service that should be done periodically and is part of most manufacturers recommended routine service. Be sure that before you leave if your due for your routine scheduled maintenance to have it performed. This includes the 30k, 60k, and 90k services. If your air filter needs to be changed, it’s a good idea to have this done as well. It can improve fuel economy along with an oil change. Have your German car service done with the best at Ryan GMW.